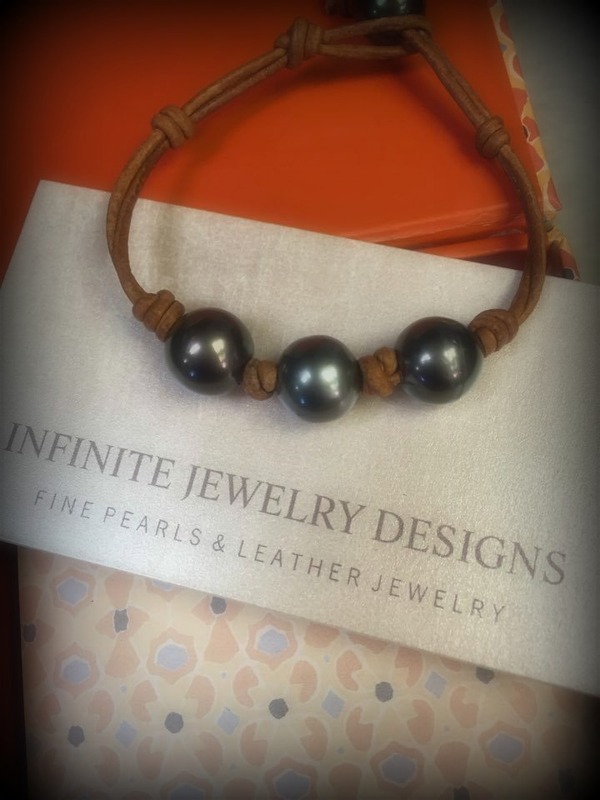 Standard - 7.5" 6.5" 7" 8" 8.5" 9" 9.5" 10"
Three beautiful tahitian pearls hand knotted on round leather cord with one more tahitian pearl loop closure underneath wrist. Photo is reflective of this design and is not intended to represent the actual product you will receive. Variation in shape, color, size of pearls should be expected.